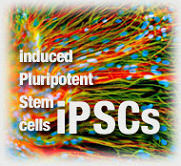 It the last 2 years there have been some pretty big experiments when it comes to stem cells and tissue engineering. the two cases of real note were the transplantation of donor trachea’s to two patients both of which were huge successes. Basically the donor trachea was stripped of its original stem cells using enzymes and thus leaving a scaffold of a trachea made up mostly of collegen. Stem cells from the recipient were then cultured from their bone marrow and coated onto the trachea’s thus eliminating the need for anti rejection drugs. I would love to see a similar type experiment take place with hair follicles. I understand the hair follicle is a more complex organ than we like to acknowledge but if something like this where to work it would basically be a cure for baldness. With the vasts amount of donor hair that would then be available a person could choose exatly the amount they wished to have. It would be amazing to see this pioneered. » amount they wished to have. It would be amazing to see this pioneered. and where would we obtain the follicular scaffold material? using our own scalp skin? The donor follicle is the scaffold, once stripped of its original stem cells. but if 1 donor follicle acts as a scaffold for 1 stem cell… thereby generating 1 hair… how does this increase the total number of hairs… that is basically like FUE… what am i getting wrong here? » » » scalp skin? » is basically like FUE… what am i getting wrong here? The donor hair is not your own hair it is hair from another person as is the same with any organ transplant. It is taking folliicles from another person stripping them down and coating them in the recipients stem cells and thus eliminating the the bodys immune system. » » is basically like FUE… what am i getting wrong here? » and thus eliminating the the bodys immune system. Well… this is basically the same procedure as the experiment at the University of Minesota where a mouse was washed clean of all cells and repopulated with stem cells from a different mouse. The heart started to beat and was implanted in to the mouse which survived for the duration of the experiment. If you ask me, organ rejection really should not be an issue, as the original cells and DNA is stripped, leaving only an extra cellular matrix behind which is repopulated with your OWN body cells. » behind which is repopulated with your OWN body cells. Yes the same basic idea. The idea is that if anti-rejection was not an issue then it would mean a limitless supply of donor hair. would stil require a basic HT but if getting HT meant that you could have as many follicles as you wanted then that is basically a cure. » follicles as you wanted then that is basically a cure. 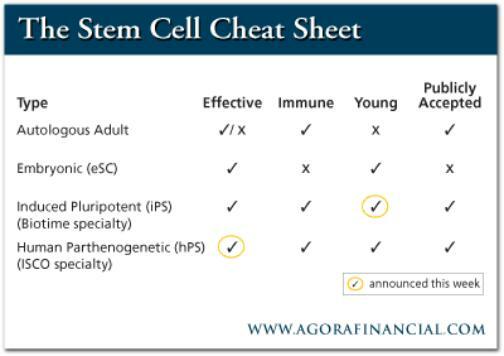 Investing in biotechnological advancements, specifically in stem cell research companies like International Stem Cell Corp. and BioTime, is discussed. Adult Autologous SCs – SCs taken from donor bone marrow and fat tissue, cultured and re-administered to the donor for therapeutic purposes. These solve the immune and ethical problem but do not compare in power to the other three types, nor are they “young,” meaning maximum telomere length. Embryonic SCs – These cells are taken from embryos and are therefore ethically objectionable to many people. They have efficacy and they are young but they provoke an immune response. Parthenogenic SC – These SCs come from unfertilized oocytes, the cells that, if allowed to develop, would become ovum. They are, by definition, young. They have no ethical problems because they are not embryonic. They solve the immune problem through the creation of ISCO’s HLA typed cell bank. Last week, ISCO also announced evidence that they have efficacy. » » follicles as you wanted then that is basically a cure. » tissue, cultured and re-administered to the donor for therapeutic purposes. » they are young but they provoke an immune response. The big point for me with using donor follicles is that the structure is there in its complete form. I agree with the p;uripotent cells as these can be used to coat the original graft. To simplify what i’m saying is that if we could go for a typical HT with ulimited follicular units at our disposal then it is possible that we can have a full density, natural head of hair. It is a similar process that took place this wk with the research carried out in rats at the university of minnesota http://www.medcitynews.com/2010/06/university-of-minnesota-scientists-create-breathing-rat-lungs-from-scratch/. I would like to believe that this could be tested in humans with regards to follicles as it would not be life threatening. The Follicles we have are still there though, they just aren’t working properley. Wouldn’t it make sense to try taking out one of the miniaturized follices, strip it of all it’s DNA like you said then reimplant it into our scalp and see how it responds, isn’t there a chance it could start working normally again? I’m unsure to be totally honest. I suppose it may be possible, it could possibly lead to extensive scaring for a norwood 7. Ideally I would really love to see this tested in humans. Again if it were a case that it was best that the follicles were taken from another person (cadaver)then it would minimise scaring. Having recently spoken to one of the main researchers from the university of miniseota who was involved in in this, http://www.medcitynews.com/2010/06/university-of-minnesota-scientists-create-breathing-rat-lungs-from-scratch/, She believes that theoretically this is very possible. T o get this tested is the major problem unfortunately.